Calibrating sensors ensures that they are operating at the best possible rate and giving the best possible performance. 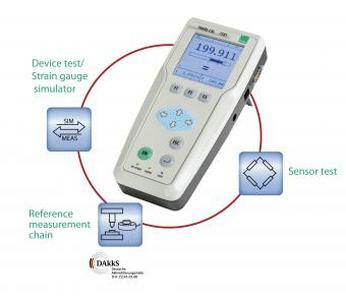 Calibrating refers to the method which is used to check the accuracy of an instrument (in this case, a sensor) compared to the predefined standards. The main purpose of calibrating is to minimise uncertainty of measurements and to ensure both precision and consistency. Why Do We Calibrate Sensors? There is no guarantee that a sensor is working perfectly. Even if it seems to be working the same as it always has. It is best to get the sensor calibrated at regular intervals (recommendations vary depending on the type of sensor you are using). Sensors may also differ just through the manufacturing process, there is no guarantee that one sensor will work as well as another so calibration is the best way to ensure that your sensor is working correctly. Some sensors may get less responsive over time; general wear and tear can cause them to not work to the capacity that they should. Therefore calibration is important to ensure that the sensor you are working with is able to function well. Many of the products we offer will be incorporated into larger working machines. If one component of a machine is not working as it should, this can compromise the entire device. By calibrating sensors used within larger machines we can ensure that the sensor is working the way that it should be and this can enhance the results of the machine. Some sensors may get compromised by the environment that they are working in. Things like; temperature, shock, humidity, water etc may cause the sensor to become less effective. Even if they were exposed to these variables during transit it could affect the overall working ability of the sensor. Calibrating sensors is one of the services we can offer. We can organise calibration for any of the products in our portfolio. We have the facility to calibrate some of our products onsite and we have agreements with our suppliers and external companies to organise for a sensor to be calibrated. Title:Why Do We Need to Calibrate Sensors?